Manoe Konings was reading music before she knew her A B C’s. As a little girl she used to tell her mother about the three things in life she wanted the most: making music, to become famous and to reach the age of 96. Two of the three have become reality already. "My grandfather was a trumpet player. He also wrote lines for comedians and songs for carnival. From him I inherited the love for music. As a little girl I played the clarinet with the marching band "Heer Voouit." I was the only girl and can still vividly remember the discussions we had whether I should wear slacks or a skirt. Luckily it became slacks. We played a wide varied musical repertoire: opera overtures, marches, Ravel’s "Bolero". Afterwards I attended the conservatory in Maastricht, and played in several regular orchestras. I did not feel comfortable there. Since 1989 I have been with André and the Johann Strauss Orchestra. An open lovely and relaxed atmosphere prevails there. In the beginning we were with just twelve people. Now we have about sixty orchestra members. André builds bridges. He noticed that a large portion of the general public was not receiving any culture, that a large void existed. He really makes contact with his audience, that is his strength, and so he gives the people an unforgettable gift. At that time Strauss too stood on stage in front of the public, people were allowed to laugh and react, and did not really need to know how or what, or know the titles of the music pieces by heart. That is not essential; either it clicks or it doesn’t. During a rehearsal I once made a joke about a bagpipe. André asked me directly if I would like to learn to play it. A bagpipe is just like a clarinet, it is a reed instrument, but only has eight notes, and demands a lot of strength. Blowing and pressing simultaneously is the most difficult. The startup of a bagpipe is difficult, sometimes it collapses; is it going to play or not? Every evening I play "Amazing Grace" on the bagpipe. I try playing that with the happiness and open heart of a child. The entire venue cries, time and time again. In 2001 I received the devastating news that I had breast cancer. I was left with the choice of no longer being able to tour the world with André and the orchestra. One thing I knew for sure: if I stop making music I’ll die. It might sound strange, but cancer was the best thing that happened to me, I enjoy life so much more. Music wise I play differently too. I listen to my inner feelings, myself. I am content the way I am, and I treat people the same way I would like to be treated. Music is my oxygen, and saved my life". Manoe Konings was born in Maastricht in 1961. She plays clarinet, saxophone, bagpipes, guitar, sings and dances and is a true entertainer on stage. She also likes to race through town in a leather jacket on her motorcycle. Spoken like a true adventurer, thanks for posting this wonderful article on Manoe. Thanks for the lovely article about Manoe. She is my favorite too. I think she is a very spontanious and talented woman with a lot of courage. I hope she will keep on making music, It surely is a remedy like nothing else can ever be.Thanks Manoe! and keep on and hold fast. Thank you for the above article on Manoe this old Englishman enjoys watching her onstage with JSO.....I wish her a long and happy life from now on hoping she gets to 96........and Manoe,Thank you for the music! Regards. Don Allen.(UK). I dearly love the videos of the JSO, and watch for Manoe. She is spontaneous, and if she is anything in person like she is on stage, she would be a joy to meet. Music is my life, too, so I do understand how it is so important to her. She is my favorite! A South African now living in the UK. 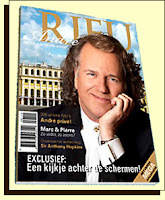 Manoe is my favourite musician in the Andre Rieu outfit. She has amazing energy and puts her everything into each performance. Loads of fun as well. I love it when she plays the bagpipes. Graham Davidson. Edward Powell Sandbach Cheshire U.K. Manoe is I feel, a real star in Andre's orchestra,I enjoy everything she does on stage, a real joy to watch, I will be watching out for her Dec 18th in Manchester, and hope to get good shots and video of her. It would be great if we could see a photo of her in her bike leathers.Long may she carry on giving joy to soo many people. Thank you Manoe.